The most exciting thing I’ve done lately is working with some REAL burlap. I originally bought yards of burlap from a fabric store, but have since been excited about my new endeavor with some real, serious, burlap. 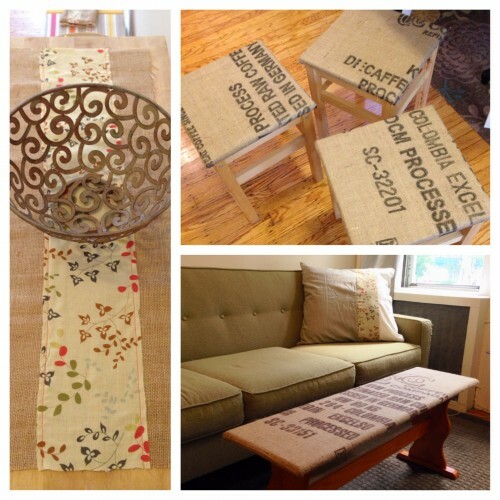 I purchased burlap coffee sacks from Etsy and went to town! Was much fun. As I opened up the seams of one of the bags, a few coffee beans fell out. I covered my coffee table/bench with one bag, I did need to extend it by sewing additional onto the sides (I took extra from the back of the bag), and it turned out fine, you can’t see it on the sides at all. 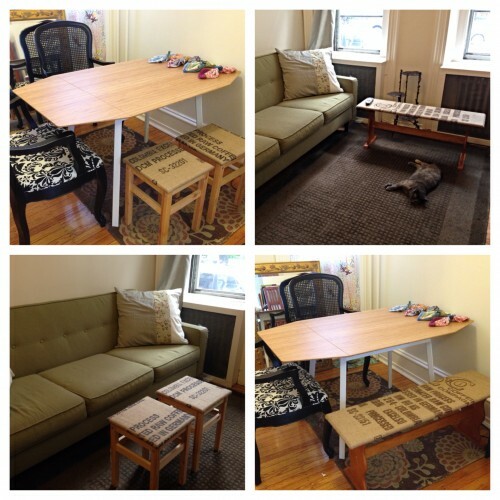 I have a very small apartment, so the bench serves as a coffee table or I turn it perpendicular to the couch and it serves as extra seating. It also can be used as extra seating at the dining table. I also had three little stools that I chose to cover as well, they serve as additional seating for my dining table or living room and look great now! I have my butcher block in the dining area and decided to make a little table runner for it. I used the burlap from the store that I had leftover and added my favorite girly fabric, which I also used in the pillows I made for the couch that you can see in these pics, and I will add another blog post for those pillows. 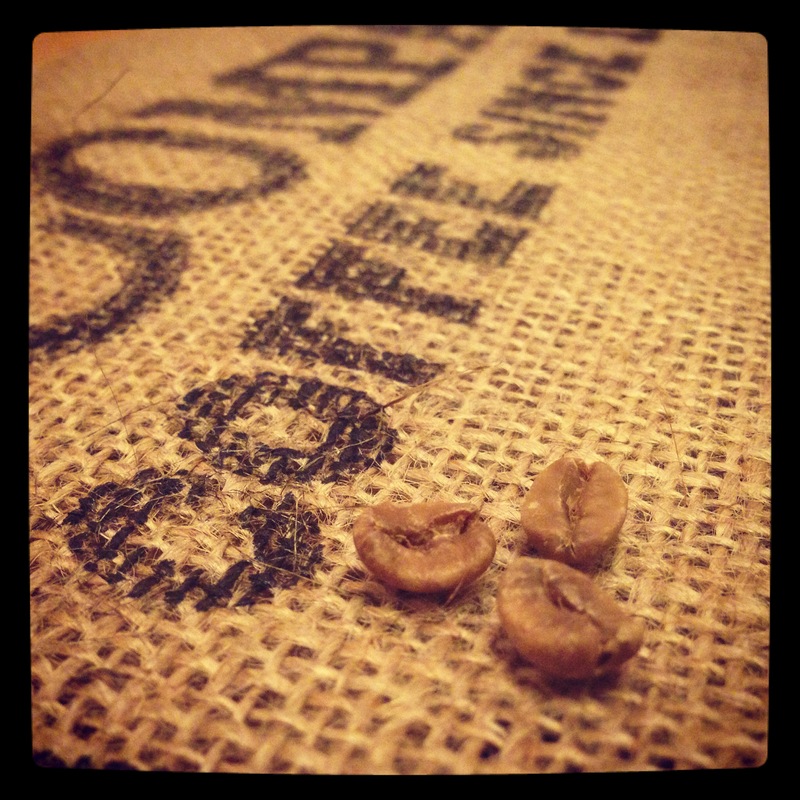 I also purchased about 8 additionall, smaller, coffee sacks which are all pretty awesome and have cool designs on them. I plan to frame them and use for decorating the walls. This entry was posted on October 12, 2013. It was filed under Crafts.